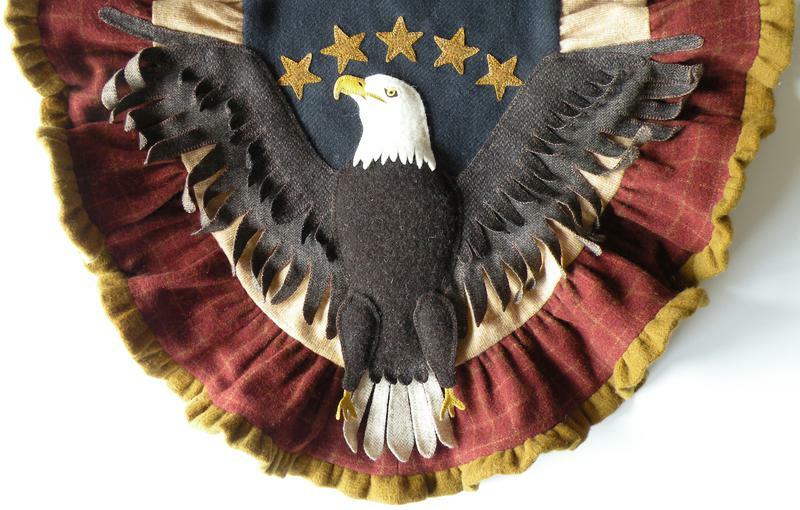 See Our Complete Collection of Patterns on the "Patterns" Page! Over 725 copies sold! Read the great reviews on our webstore! 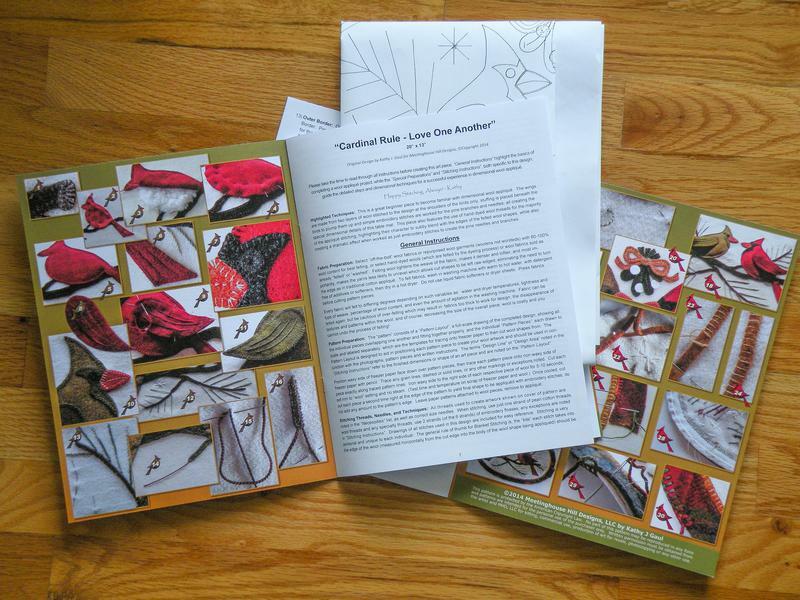 Our new booklet format with color photos in addition to the written instructions and pattern sheet! 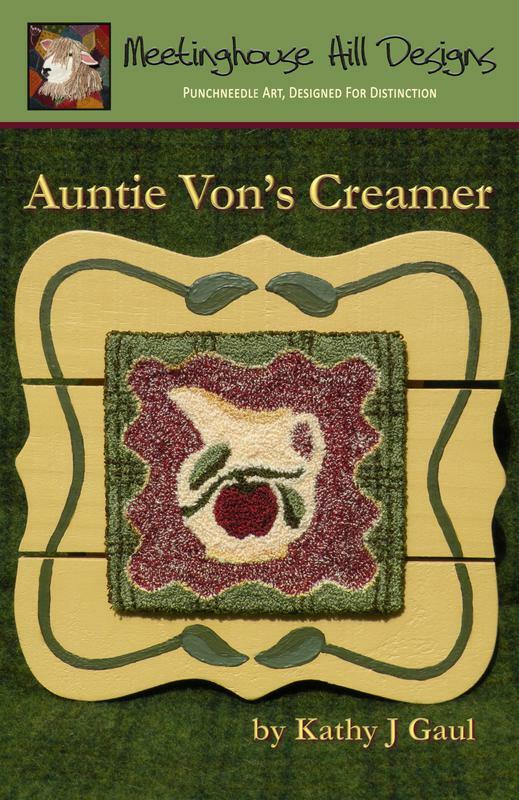 Available as a wool applique pattern booklet ($21), or, as a rug hooking canvas on primitive linen or monk's cloth ($47)! Visit the "Shop Online Store" for details! 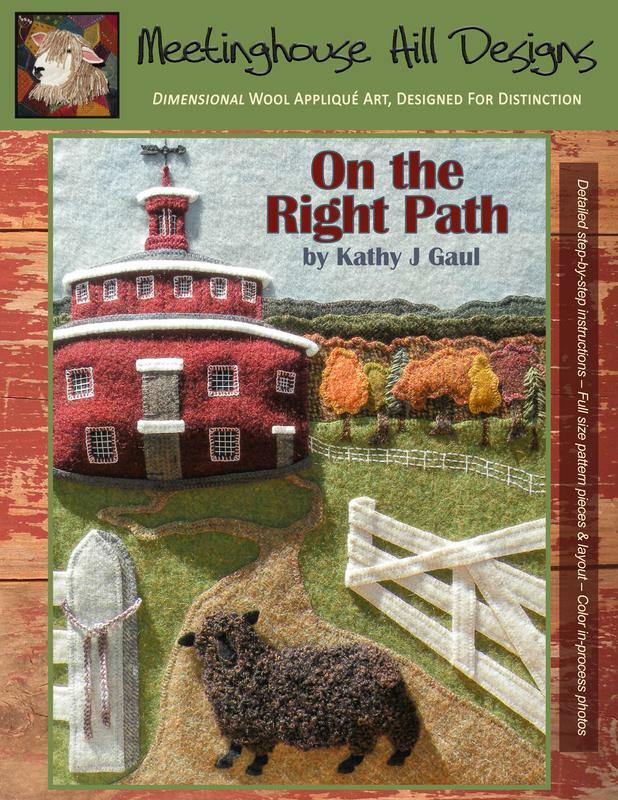 Our new booklet format, on all our new patterns, features full color photos of all the steps to applique the design, plus our signature detailed instructions, drawings of all the necessary stitches, full scale printed pattern layout and individually drawn pattern pieces. 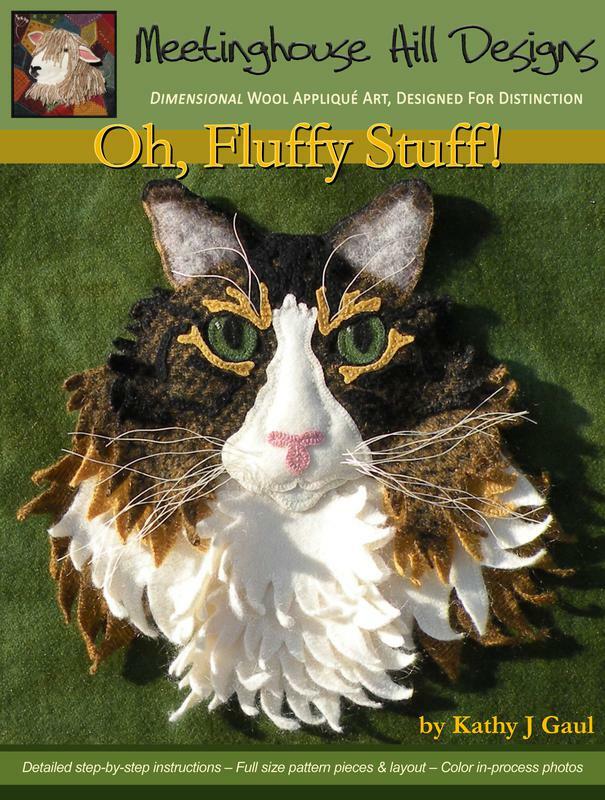 Complete Kit - $355 includes booklet, all the felted wools (background and applique - and the flower fabrics are hand-dyed! 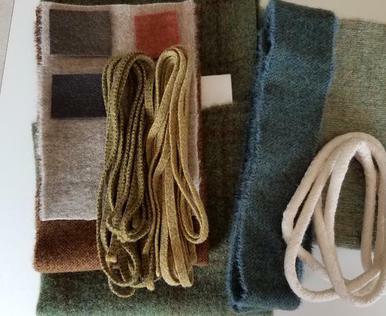 ), all 25 hand-dyed wool and cotton threads, cotton stuffing and freezer paper! 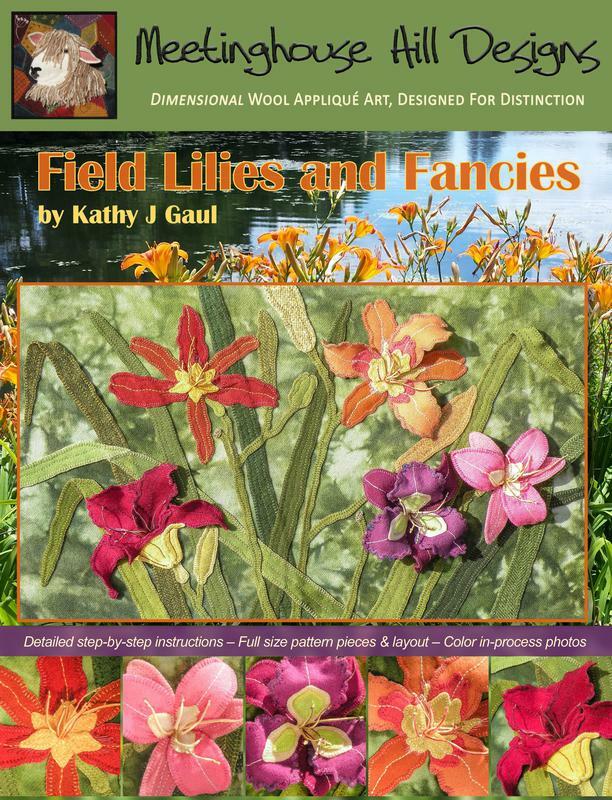 Design Measures 12" x 16"
Design Measures 11" x 14"
"Field Lilies and Fancies" pattern book is packed full, with 20 pages of detailed instructions, full scale pattern layout and separately drawn pattern pieces, plus 6 pages of full color photos of the step by step construction! 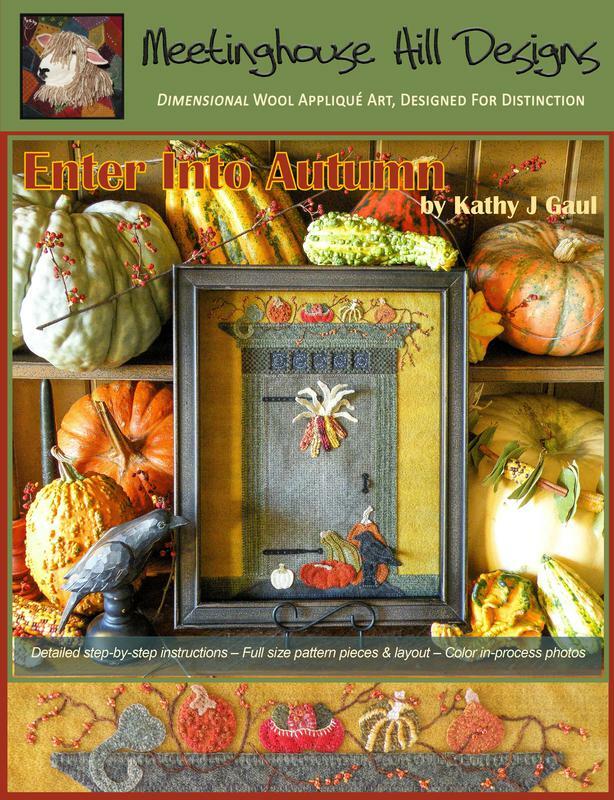 There are over 80 images in this pattern book! $32.00 for the pattern. Complete kit featuring all hand-dyed threads from The Caron Collection, The Gentle Art, Weeks Dye Works, and Valdani, plus hand-dyed wools from Weeks Dye Works and W. Cushing & Co. is now available! Pattern Now Available - $23.00! 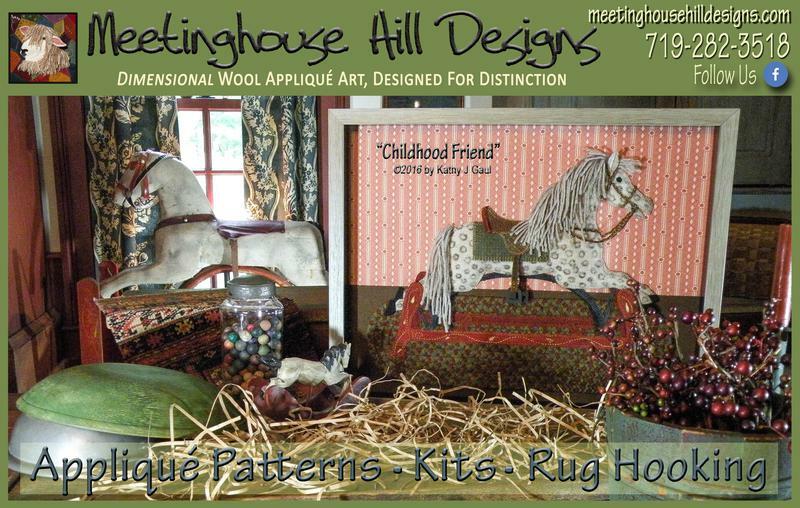 "Childhood Friend" is available as a pattern or complete kit. Shop our webstore. 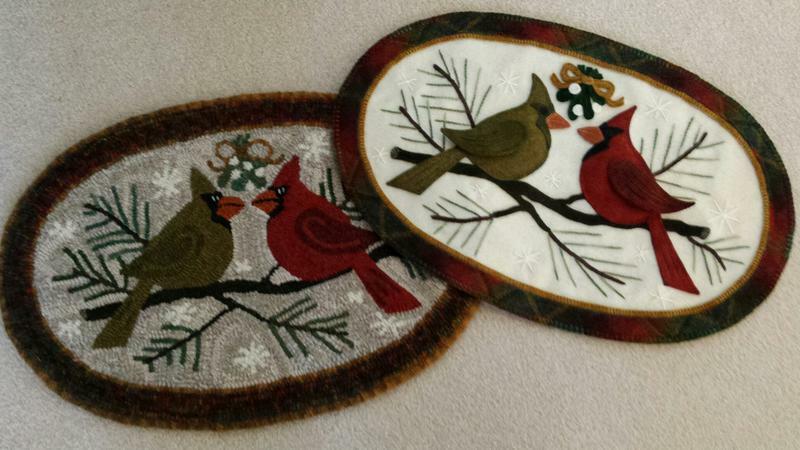 Pattern price is $29; Complete Kit is $160 and includes all original fabrics and threads! Email us or call 719-282-3518 with any questions. 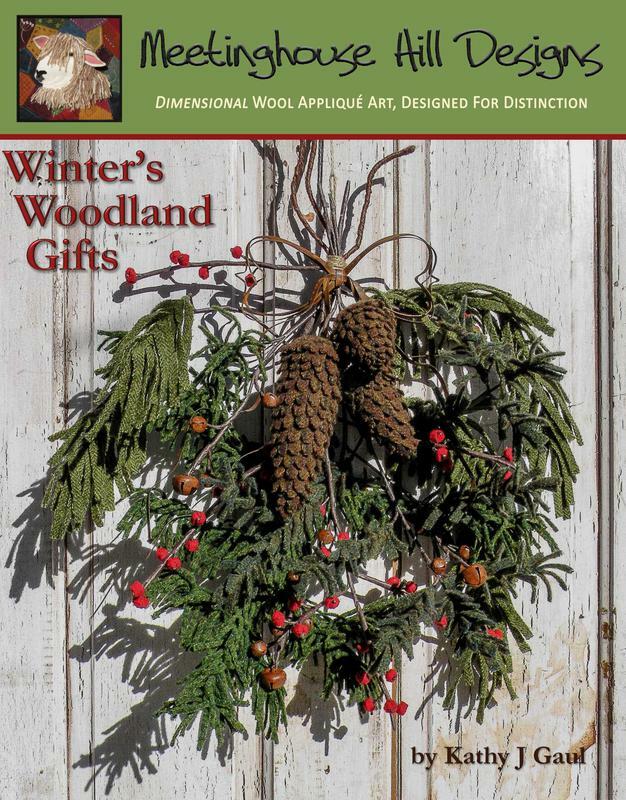 "No-sew", dimensional design, "Winter's Woodland Gifts"! Yes, it is true, these three evergreen boughs, winterberry branch and pinecones are all crafted from felted wool, wire and glue and not a single stitch!!! 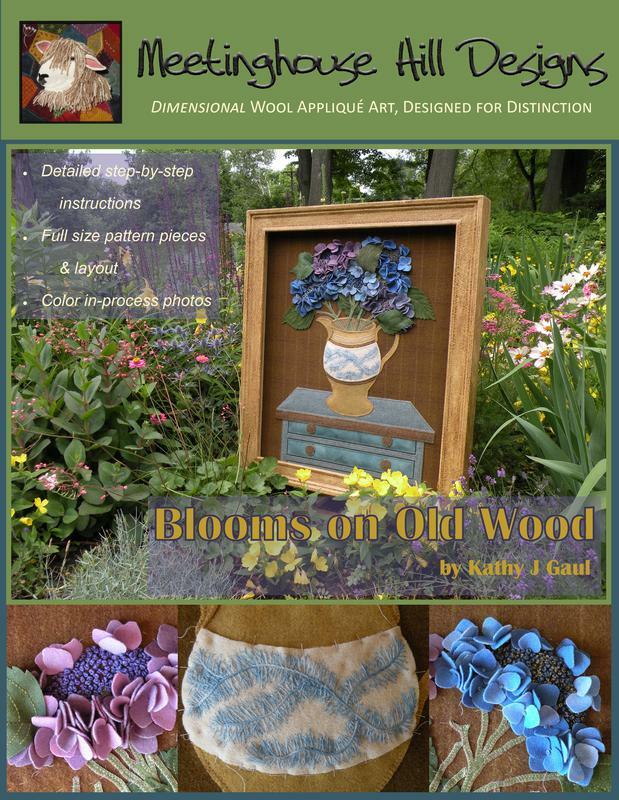 Even more exciting is the fact that this pattern includes 15 rusty bells to create the branch of bells, and the rusty bow, all for $18.50, plus over 30 color photographs of the steps to make this whole project. 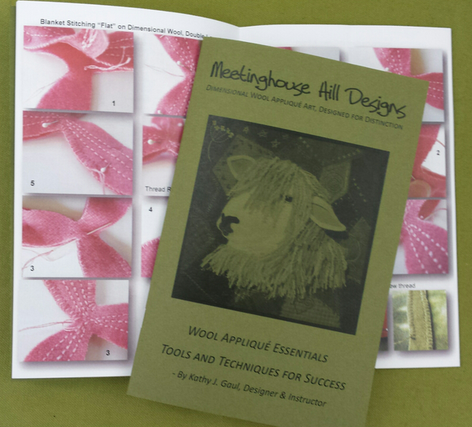 Complete Kits now available - $75, includes all the felted wools, wires, floral tape, cotton batting and jute string! Finished size is about 16" x 20"
Shop our webstore now to order! 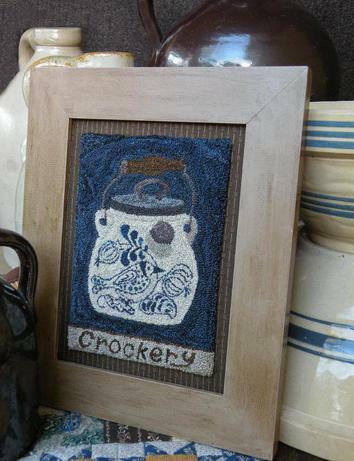 Punchneedle Pattern - $11.00 includes the plain weaver's cloth for tracing design. 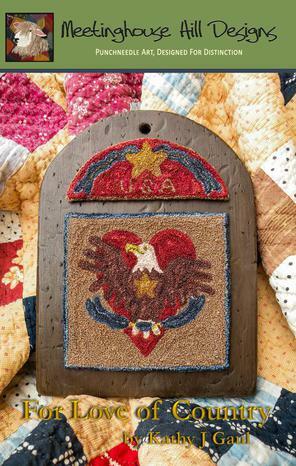 Punchneedle Pattern - $13.00 includes the plain weaver's cloth for tracing design. On the steps of First Church (a true meetinghouse! ), where our journey together first began 30+ years ago, to where we are today running our pattern company! 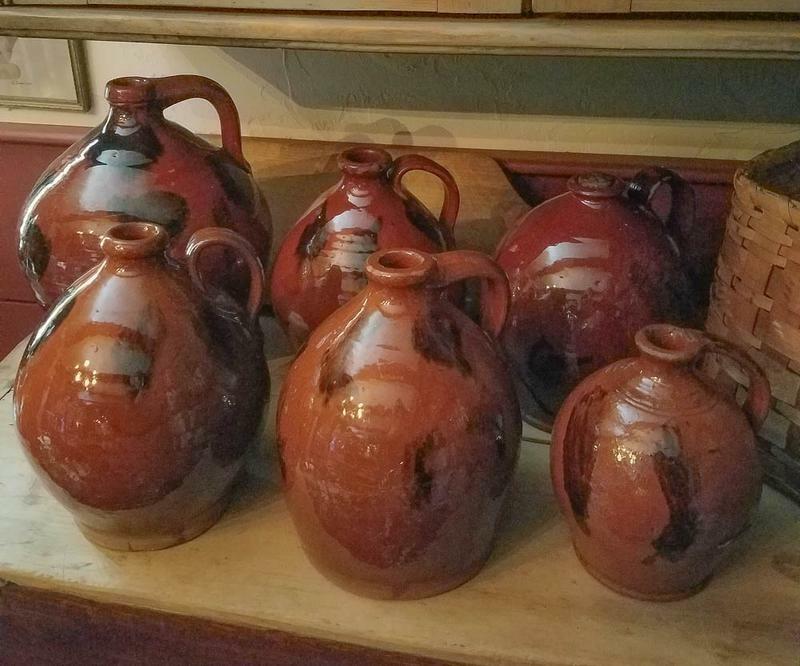 Inspired by a friend's lovely collection of antique redware jugs and an historical early 1800's dish from the Huntington Library in CA. 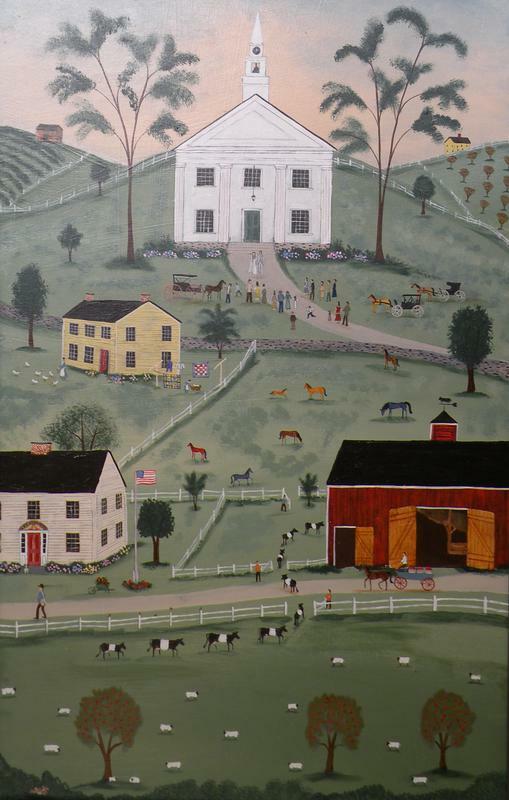 If you love antiques, then this one is a must for your collection! 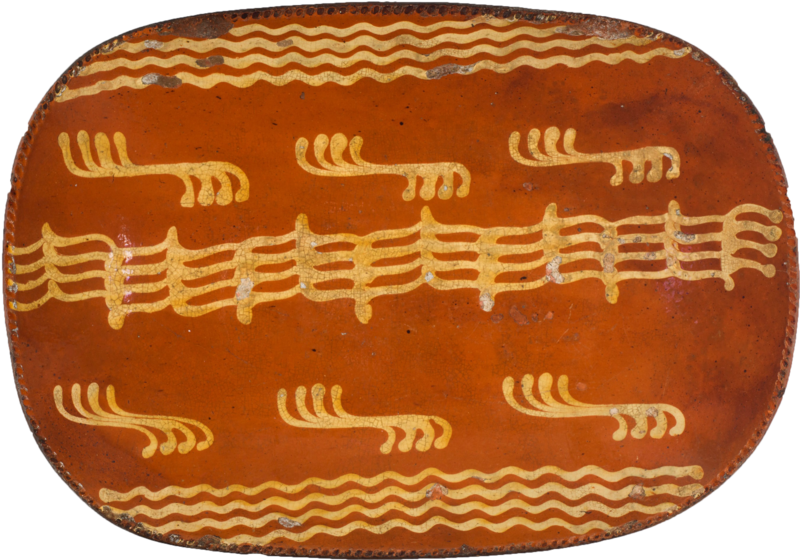 Permission Granted for Use Huntington Library, Art Collections and Botanical Gardens, Gail-Oxford Collection. 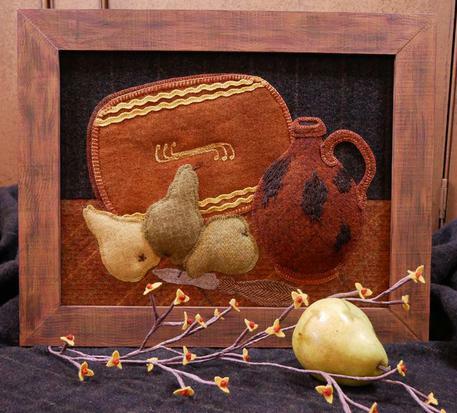 "Redware and Pears" is available in our new "booklet" style pattern, with 35 color step-by-step photos to aid in stitching this dimensional still life design. 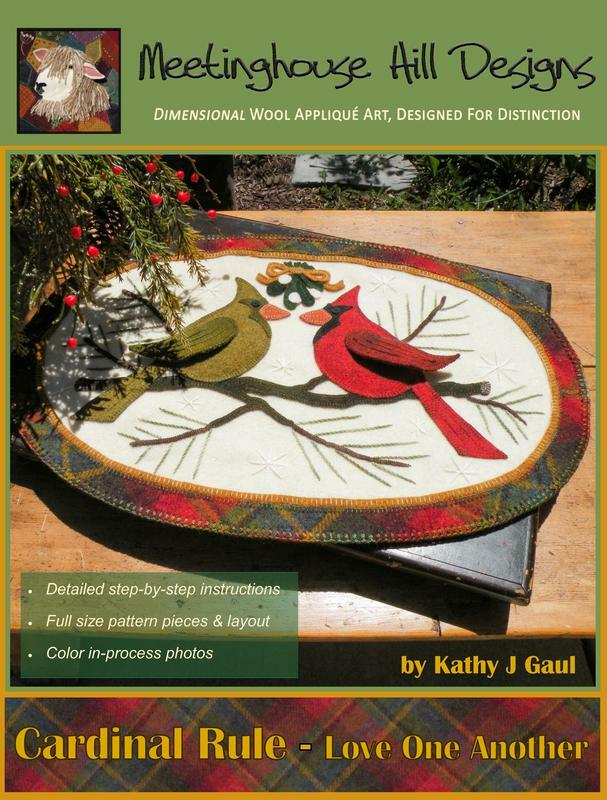 Pattern booklet also includes the hooked rug pattern as a bonus! 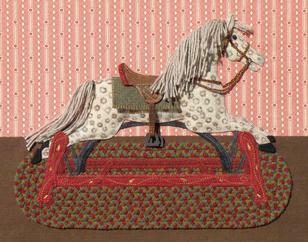 Rug Canvas is hand-drawn on foundation fabric; it does not include any wools. 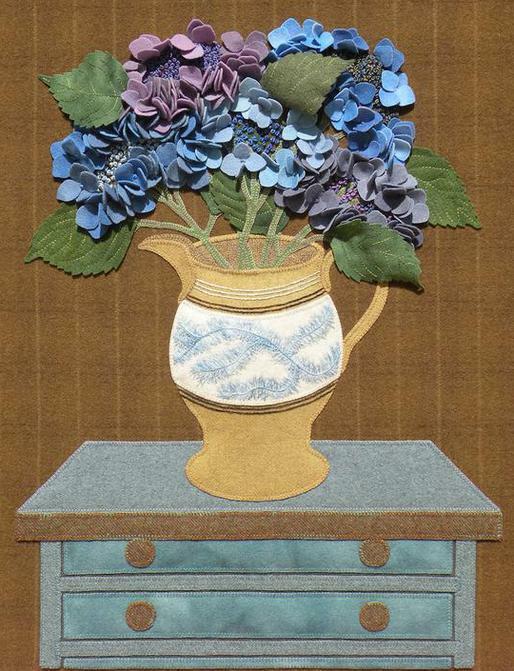 Finished Dimensions of Wool Applique Design - 12 1/2" x 9 1/2" - features wool batting beneath jug and pears for dimensional realism. 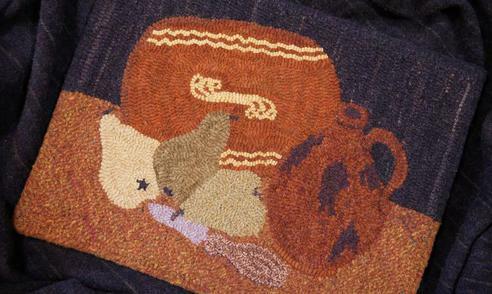 Finished Dimensions of Little Hooked Rug - 16" x 12"
Finding us for the first time from our being named a "Directory Artisan" for Early American Life magazine? 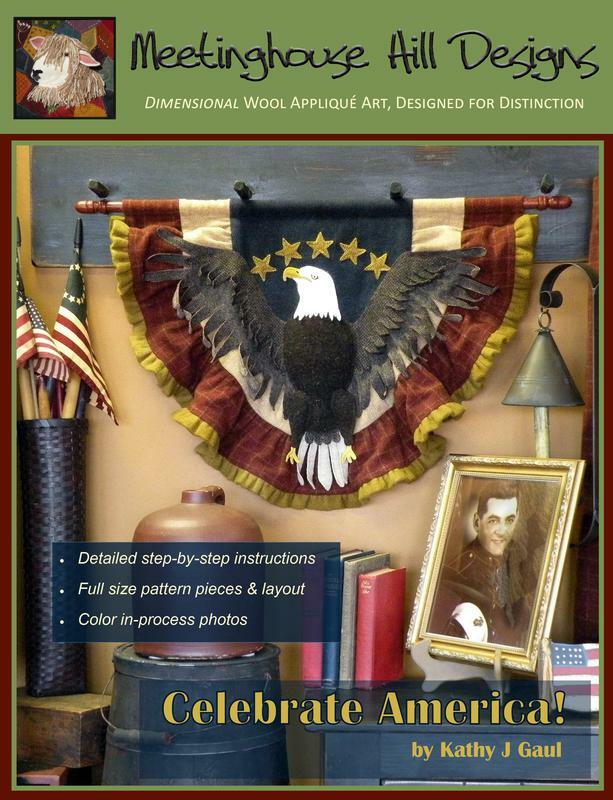 Here are the pieces of artwork we submitted for judging including those for the Holiday Directory listing: "Celebrate America! 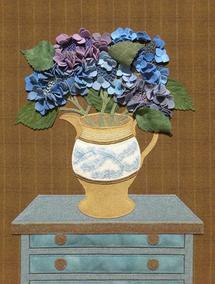 ", "Childhood Friend", "On the Right Path" and "Blooms on Old Wood". 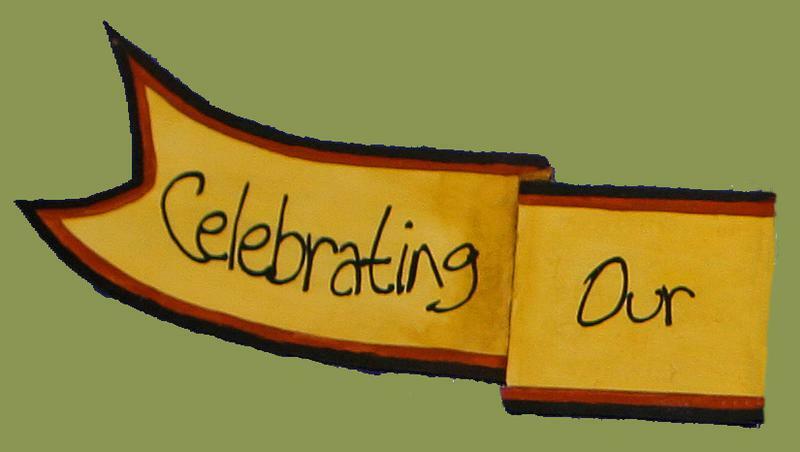 We are thrilled to receive this honor! 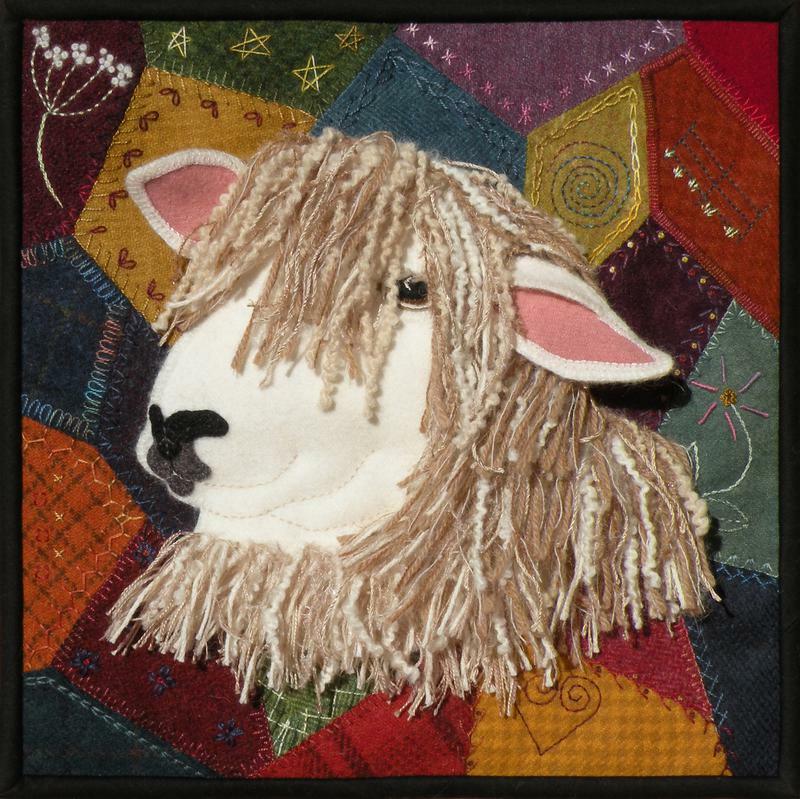 On April 17, we celebrate launching our wool applique pattern company 10 years ago! 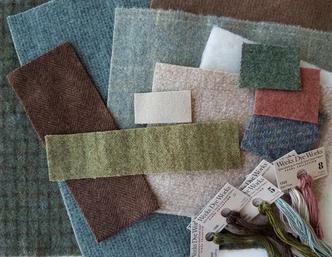 We are delighted to share our passion for wool with all of you! So, enjoy our website, shop our "online store" and be in touch with any questions. 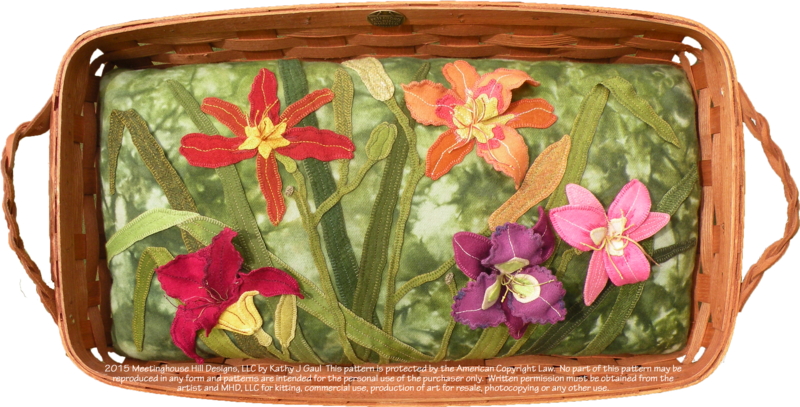 We look forward to inspiring your journey of stitching, hooking and punching! a 10" x 8" pillow just ready for spring! 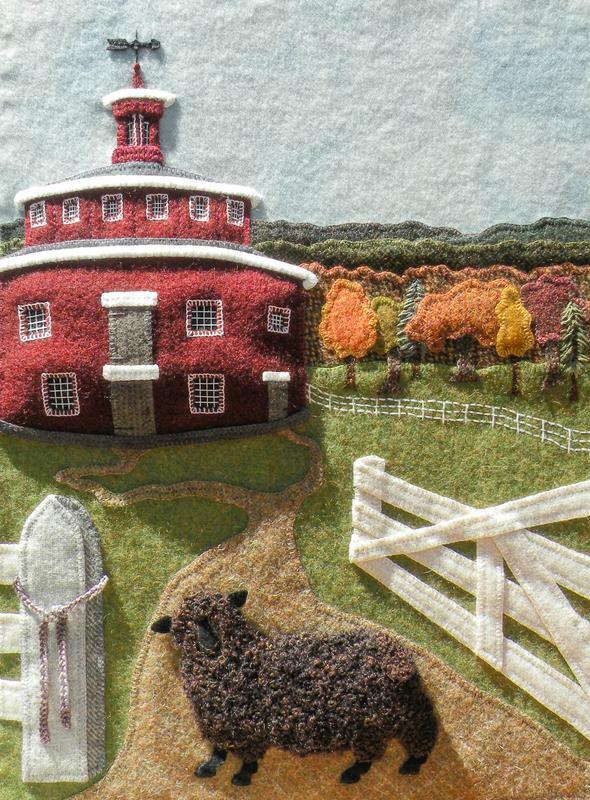 a 12" x 15" pillow or wall hanging for sheep lovers!